Luckily, for you jQuery users, blurJS will be a special treat for you. What it does is uses a Gaussian blur algorithm to blur content that is under the blurjs targeted element. There by creating an overlay that looks very close to the one pictured above. UPDATE: For Photoshop users the overlay is more of hack than a “blurred, translucent over”. Basically take the image that is below your overlay and convert it to a smart object. Then go to Filters>Blur>Gaussian Blur and adjust to liking. Then right click on image layer, Blend Options>Color Overlay. 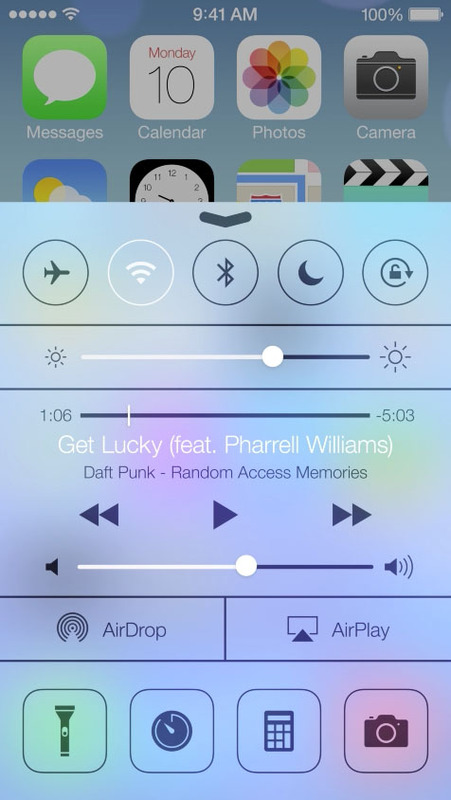 Select the color you want (in the case of the iOS7 screen, white) and drop the opacity to your liking. Hope that helps.